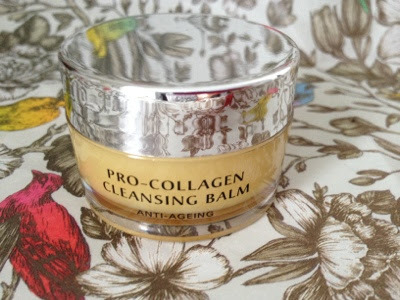 The Elemis Pro Collagen Cleansing Balm* has finally popped my Elemis cherry. The first product I've ever used from the brand, I've completely fallen in love. The rich, yet gentle balm dissolves makeup easily and leaves skin feeling clean and nourished at the same time. It contains a base of naturally grown essential oils, including starflower and elderberry, all of which are grown within the UK. I've been using this every night for a month to remove my makeup and have been really impressed. You take a small amount and massage into dry skin, before adding a few drops of water to 'emulsify' the balm and turn it into a more milky-looking liquid. I then remove it using a warm muslin cloth and some water. As someone who has always avoided any products that use water to remove them as they usually dry my skin out, I've been amazed. 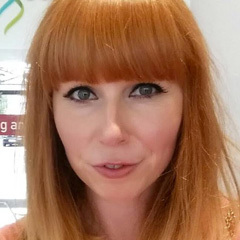 I've not had any of the normal 'tight' feeling I associate with water on my face and instead it's been left feeling really clean and super soft. The one warning I would give is to avoid using it on your eye area. The essential oils in it might make them sting a little, so to remove my eye makeup, I've been using my trusty Green People scent free cleanser first. You can also use the cleanser as a mask by leaving a slightly thicker layer on clean skin for 10 minutes. I've tried this and loved the result. The small 28g pot I was sent has lasted me for over a month, so I think the full size 105g version will last for ages! It retails at £39.50 which is expensive, but for 5/6 month's worth of cleanser, I'd definitely repurchase it again post-spending ban. Have you tried this cleanser? What do you think? *This post contains a PR sample. My thoughts are honest as always. This looks lovely, I really want to try it. Might have to treat myself! I really want to try this. 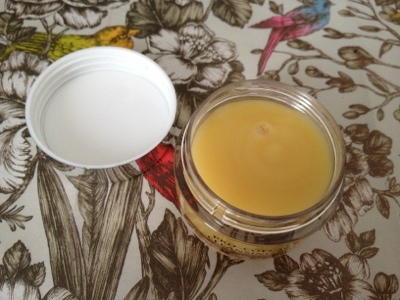 I love the Emma Hardie Moringa Balm, and if it's anything similar to that i'll be hooked. Yes shame about the price, but i think that of the EH balm, but it is worth it. I've been seeing this everywhere recently and I really want to try it! I don't think any shops near me stock Elemis but I will be searching this stuff out very soon. i've never tried a balm cleanser before but i think it's high time i did, this sounds amazing!